A potent eye cream that works over 8-hours to smooth and brighten the delicate eye area while reducing the appearance of dark circles and puffiness. 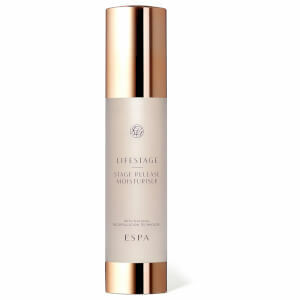 Using Natural Encapsulation technology (NET), a combination of powerful natural actives are released onto the skin over time. Himalayan Fleece Vine helps to revitalise the skin around the eyes, smoothing lines and wrinkles, Carnosine helps firm the skin and boost elasticity while Ginseng reduces puffiness and dark circles. Aqua (Water), Coconut Alkanes, Caprylyl Caprylate/Caprate, Glycerin, Caprylic/Capric Triglyceride, Cetearyl Olivate, Helianthus Annuus (Sunflower) Seed Oil Unsaponifiables, Inulin Lauryl Carbamate, Hydrolyzed Corn Starch, Zea Mays (Corn) Starch, Helianthus Annuus (Sunflower) Seed Oil, Sorbitan Olivate, Punica Granatum Sterols, Butyrospermum Parkii (Shea Butter) Extract, Glyceryl Stearate, Ethylhexyl Palmitate, Bertholletia Excelsa Seed Oil, Sorbitol, Coco-Caprylate/Caprate, Phenoxyethanol, Bertholletia Excelsa Seed Oil, Sodium PCA, Cetyl Palmitate, Caprylyl Glycol, Chitin, Sorbitan Palmitate, Pentylene Glycol, Polysorbate 80, Saccharomyces Cerevisiae Extract, Sclerotium Gum, Alcohol, Hydroxypropyl Methylcellulose, Pullulan, Carnosine, Sodium Lactate, Chondrus Crispus (Carrageenan) Extract, Butyrospermum Parkii (Shea Butter), Disodium Coco-Glucoside Tartrate, Panax Ginseng Root Extract, Salicylic Acid, Lecithin, Cera Alba (Beeswax), Sodium Hyaluronate, Lupinus Albus Seed Extract, Avena Strigosa Seed Extract, Silica, Spilanthes Acmella Flower Extract, Cymbopogon Martini Oil, Citrus Aurantium Dulcis (Orange) Oil, Pelargonium Graveolens Oil, Gynostemma Pentaphyllum Extract, Porphyridium Cruentum Extract, Rhodiola Rosea Root Extract, Phytic Acid, Silica Dimethyl Silylate, Lavandula Hybrida Oil, Tocopheryl Acetate, Butylene Glycol, Leucojum Aestivum Bulb Extract, Citrus Aurantium Amara (Bitter Orange) Flower Oil, Glyceryl Linoleate, Glyceryl Linolenate, Pogostemon Cablin Oil, Retinyl Palmitate, Sodium Ascorbyl Phosphate, Xanthan Gum, Tocopherol, Soy Isoflavones, Cistus Ladaniferus Oil, Citrus Nobilis (Mandarin Orange) Oil, Lepidium Sativum Sprout Extract, Hexylene Glycol, Vanilla Planifolia Fruit Oil, Disodium EDTA, Borago Officinalis (Borage) Seed Oil, Chamomilla Recutita (Matricaria) Flower Extract, Cholesterol, Glycyrrhiza Glabra (Licorice) Root Extract, Hydroxypropyl Bispalmitamide MEA, Linoleic Acid, Polygonum Cuspidatum Extract, Glyceryl Caprylate, Jasminum Officinale (Jasmine) Oil, Rosa Damascena Flower Oil, Citral, Citronellol, Geraniol, Limonene, Linalool. My title says it all, this is a must have for your eyes. 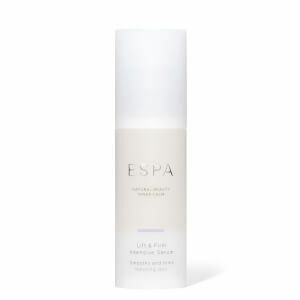 Wonderfully nourishing , no dry skin ,smoothes the eye area. 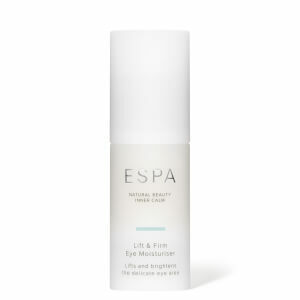 a lovely addition to all the eye creams from Espa. A great eye care. I can not be without it anymore. This eye cream is really a highlight. Small wrinkles are smoothed and disappear almost completely. I caved in to this Lifestage product after kidding myself for too long that I was "too young" for these products. My advice, don't wait! This is a brilliant product and the black circles and fine lines are diminished and my eyes are brighter. For me this has replaced a serum and moisturizer combination so saves on space on the bathroom shelf too. 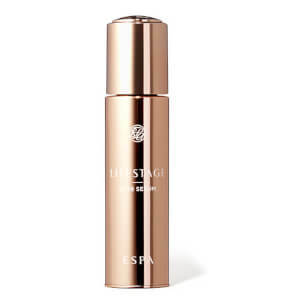 This is good but I will be going back to the lift and firm eye serum next time as for me is has more impact on the dark circles and skin tone. Really like this and does make a difference .